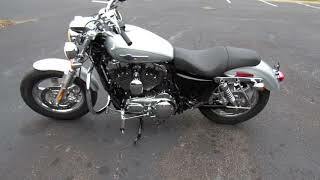 Hi, I am interested in your 2012 Harley-Davidson Sportster (stock #MC01822) listed on Autotrader for $5,995. I'd like to get more information about this vehicle and confirm its availability. Nice running, low mileage 2012 Harley Davidson Sportster 1200 with 569 miles, fresh primary oil, fresh engine oil and filter. OEM Spot lights, engine/crash guard and saddlebag stays.